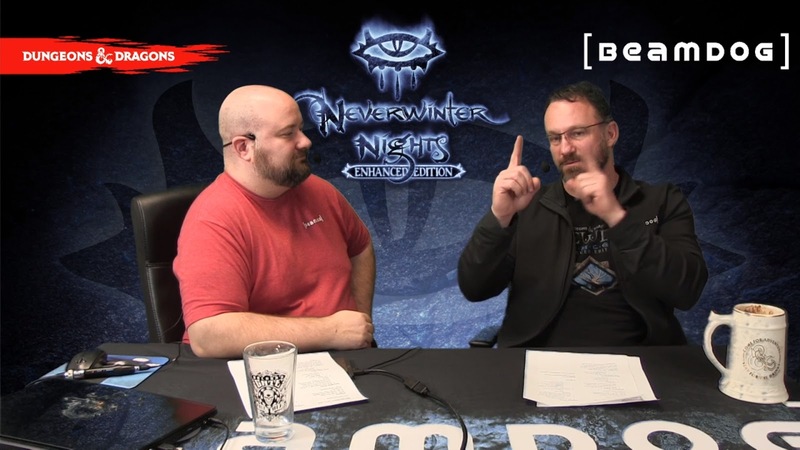 We've made a few changes to Neverwinter Nights: Enhanced Edition on Beamdog.com to help with smaller download sizes and to allow for individually purchasable DLCs. Language packs for French, German, Italian, Spanish, and Polish are available as free add-ons. You can install video and voice for your non-English language of choice by downloading the "Language Extras" from the dropdown menu. 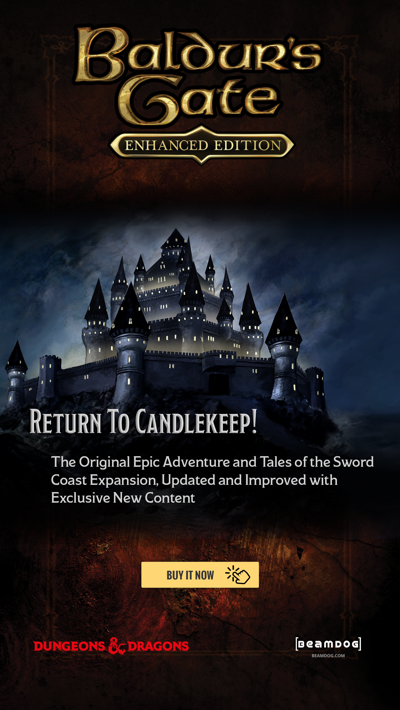 The Neverwinter Nights: Enhanced Edition Digital Deluxe edition on Beamdog.com has been changed - the bundle has been spit up into the base game and separate DLC packs. Everything you bought is still yours! NWN:EE and all the DLC of the Digital Deluxe edition has been added to your account. If you’re missing any DLC, included in the Digital Deluxe edition, let our customer service team know via support@beamdog.com and we’ll get that fixed. The old Digital Deluxe edition will no longer be updated. 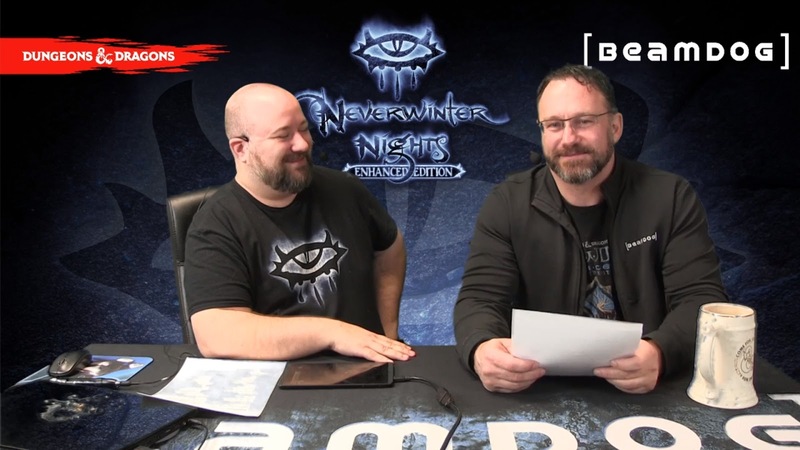 To continue getting the latest NWN:EE updates, please switch over to the base version of Neverwinter Nights: Enhanced Edition (Retail) under the Beamdog Client dropdown menu and download the individual DLC packs. If you would like to avoid re-downloading Neverwinter Nights: Enhanced Edition data, choose Options -> Open game location, and rename the numbered folder 00839 to 00785. NWN:EE DLC in folders 846~851 can be copied into 00785. If you experience any issues, try clicking the Verify button on the Beamdog Client. Contact Support@Beamdog.com if problems continue. During the last Beamdog stream of 2018 Beamdog CEO Trent Oster and Producer Luke Rideout shared the latest news on Neverwinter Nights: Enhanced Edition, NWN:EE on Google Play, and Infinity Engine games. They also announced a contest to celebrate the 20-year anniversary of Baldur’s Gate! Find out more here! Get Baldur’s Gate II: Enhanced Edition and Baldur’s Gate II: Enhanced Edition Official Soundtrack at 75% off on Beamdog.com this weekend! Save on all our games and DLC as a part of the Winter Sale on GOG. Get Infinity Engine games and DLC at up to 75% off, and Neverwinter Nights: Enhanced Edition and its DLC at up to 33% off until January 3, 2019! Get your best start to 2019 with a new job at Beamdog! We want more web developers, programmers, lead programmers, and technical artists! Trent remembers Baldur’s Gate was shipping 20 years ago! December 21, 2018 marks the 20-year anniversary of Baldur’s Gate! To celebrate we’re holding a contest: Share a favorite Baldur’s Gate memory! Learn how you can become an owner of a Baldur’s Gate: Siege of Dragonspear Collector’s Edition signed by the Beamdog team, or one of the other 56 awesome prizes here! We rolled out a change to the Beamdog Client this week. 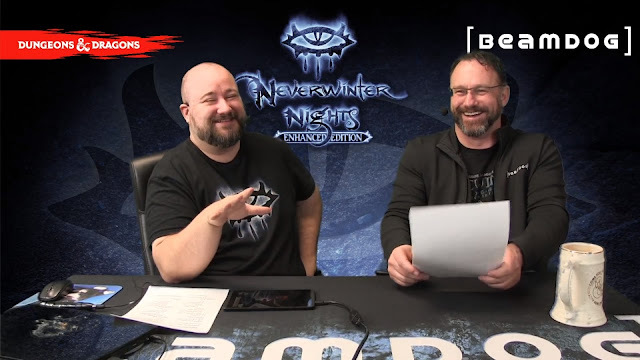 In order to install Video and Voice for your language of choice for Neverwinter Nights: Enhanced Edition, you now can download “Language Extras” for each language from the Beamdog Client dropdown menu. Language packs for French, German, Italian, Spanish, and Polish are available as free add-ons to keep the core game download size small. 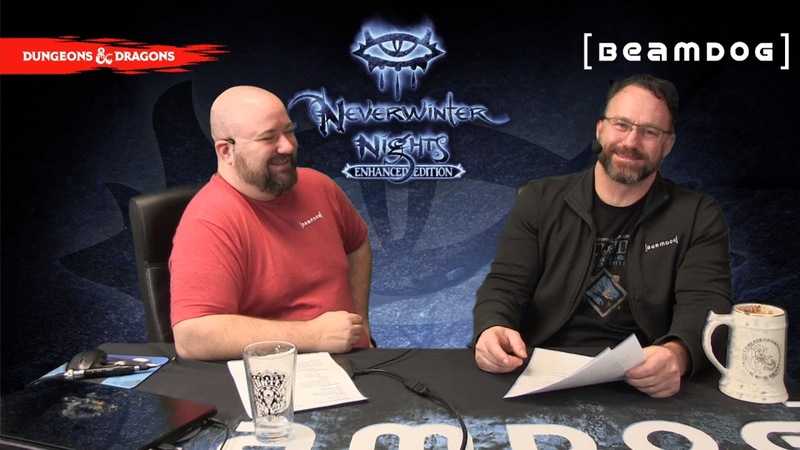 The next Development Branch build for Neverwinter Nights: Enhanced Edition is planned to be be released next week. The next stable patch for NWN:EE will come out early next year, with new main menu art, Steam achievements, bug fixes and features, including True Type Font support, keyholing, and fine UI scaling. The 17 bone limit has been a long-standing limitation of Neverwinter Nights. We’re working on expanding the bone limit, and that will be included with the 64-bit update for Neverwinter Nights: Enhanced Edition. We have a lot of things in the queue for Neverwinter Nights: Enhanced Edition. New emotes/combat animations is a feature we’d like to look at eventually. 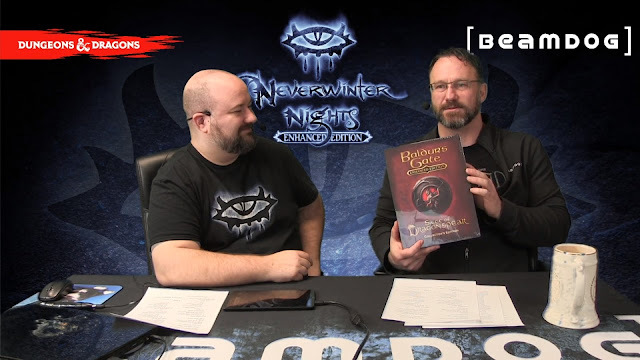 We don’t have detailed official “recommended” specs for Neverwinter Nights: Enhanced Edition, but the hardware requirements for NWN:EE are not very demanding. Minimum spec is currently an Intel Core 2 Duo, 1 GB of RAM with any DirectX 9, OpenGL 3.0 compatible video card. Any PC built to run Windows 10 that isn’t running an integrated GPU, and many that are, should be able to raise NWN:EE settings to the Max. 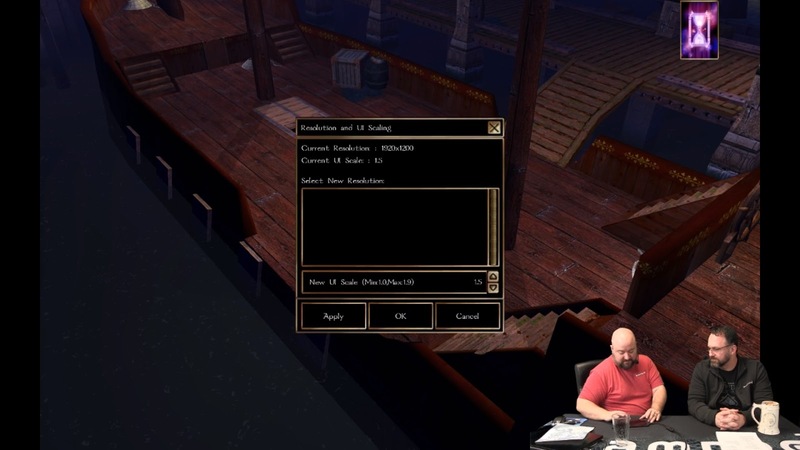 It all may change a bit once the new renderer for Neverwinter Nights: Enhanced Edition is done, though. Thanks, everyone, for your tremendous support in 2018! On December 21, 2018, we’ll share a blog with a bunch of our favorite entries to the “Share a favorite Baldur’s Gate memory” contest! Good luck, everyone! Celebrate 20 years of Baldur’s Gate! December 21, 2018 marks the 20-year anniversary of Baldur’s Gate. 20 years! Twenty whole years! Let’s say it again for folks in the back. TWENTY YEARS! 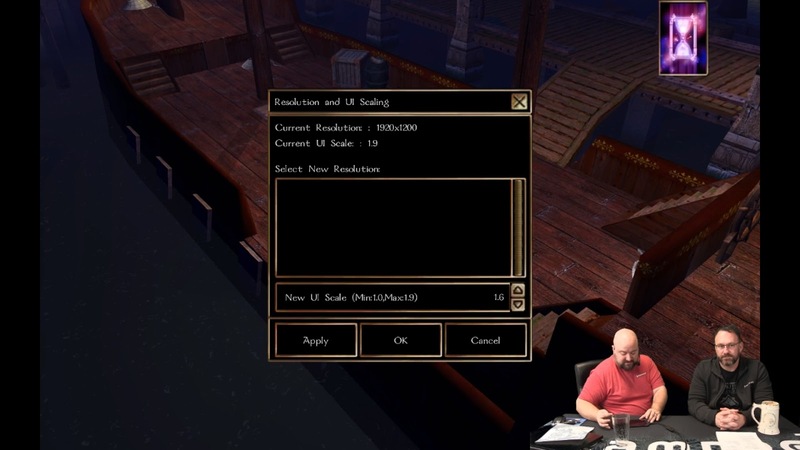 The world has changed dramatically since 1998, but we still love Baldur’s Gate. Over the last two decades Baldur’s Gate has become an important part of video game history, influenced the design of countless RPGs, and entered lives of many people around the globe. Baldur’s Gate is a work of art. For many fans, Baldur’s Gate isn’t just a game, the characters, quotes, and events found on this journey through the Sword Coast have become embedded in the memories of millions of players. 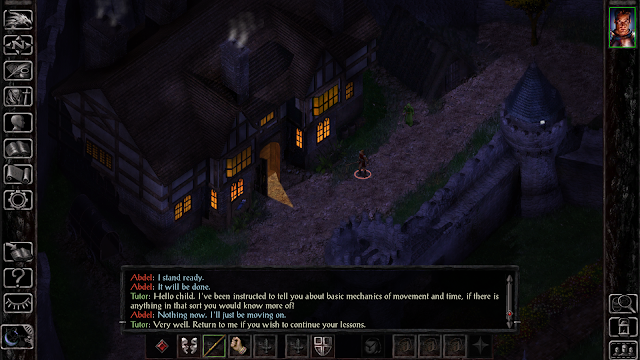 Not only that, the community of players, artists, and modders surrounding Baldur’s Gate continues to thrive today. To celebrate this incredible milestone, we’re holding a contest! The theme of this contest is: Share a favorite Baldur’s Gate memory. Head on over to this post and follow the Beamdog account. Retweet the post and leave a comment about your favorite Baldur’s Gate memory. We’ll be taking entries here until December 19, 2018. Leave a comment on this post with your favorite Baldur’s Gate memory. We’ll be taking entries here until December 19, 2018. Share a story about an experience you had with Baldur’s Gate in this thread. Submissions must be made before the end of December 19, 2018. 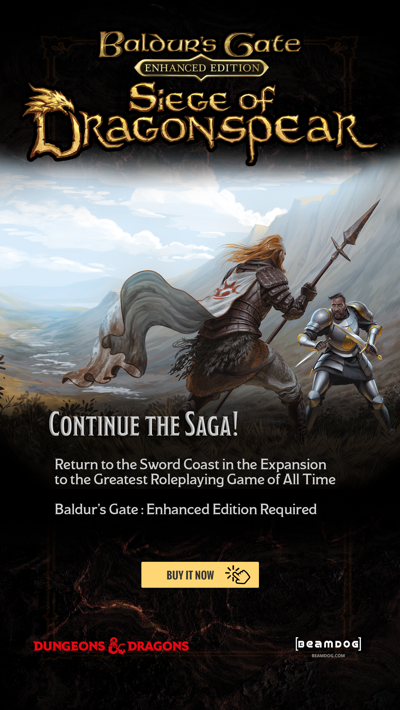 Sign up for the Beamdog newsletter before December 20, 2018! If you’re already signed up, you’re in the draw! Our team will read each of your stories, and pick their favorites! The winner of the Grand Prize will receive a Baldur’s Gate: Siege of Dragonspear Collector’s Edition signed by the team. Two winners will be drawn from Twitter, Facebook, forum, and newsletter entrant pools. Each will receive game & t-shirt packs! Sixteen winners will be drawn from across all pools. Each winner will receive their choice of a digital PC version of one of our games, or their choice of one of our games with all currently available DLC on mobile. Thirty-two winners drawn from Twitter, Facebook, forum, and newsletter entrant pools will receive their choice of a digital PC DLC for our games. On December 21, 2018, we’ll share a blog with a bunch of our favorite entries! Good luck, everyone!